As young alumni, we arrived on Grounds in the mid-’00s as Student Council wrapped a multi-year campaign to eradicate a homophobic interjection after the line, “We come from old Virginia/where all is bright and gay.” With UVA garnering national TV audiences during the football program’s 1990s glory days, students recognized that what might be attributed to drunken immaturity ought not represent the University. A generation later, students have again taken to yelling out at the same moment in the song, with most directing a profane slur toward another in-state school. From our new sections in Scott Stadium and John Paul Jones Arena, or as we watch from states away, we submit two sad realities of this behavioral trend: First, as students’ shouts are muddled to other sections, many interpret them as, and are partaking in, a revival of “not gay!” Second, as a unique UVA tradition dating back to Edward Craighill’s transcription of the lyrics of “The Good Old Song” circa 1893, it would boggle Mr. Jefferson’s mind to cede any thought during our celebration to another institution. Of course, as alumni, we respect and value student self-governance. 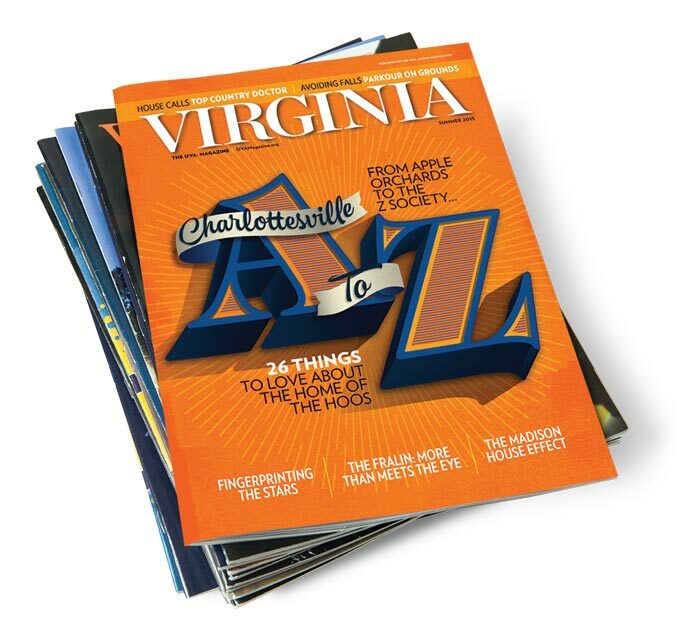 It will not be letters to the Cavalier Daily or Virginia Magazine that engineer change; rather, it is our hope that institutions across Grounds, from Student Council to Hoo Crew to orientation leaders, will share and champion the desire to eradicate the latest marring of the “Good Old Song.” We believe UVA undergrads can stand and deliver the original lyrics, for Craighill’s work needs no addendum—certainly neither a homophobic over-share nor classless expletive. When you’re in the student section and hear something, say something. I refer to the false accusations of misconduct at the University printed in Rolling Stone last year. I was in the student body of veterans that saved this country—serious, hard-working realists. Probably most of us still standing were appalled at the sacrifice of political correctness and the present culture of victimhood by the University’s response to the accusations. The article went on to say, “O’Connor stuck with his plan because he felt ‘it was the right thing to do.’” A championship victory and title are very special, and to achieve this with integrity is what distinguishes UVA. Well done, Coach O’Connor, the UVA baseball team and the entire UVA baseball program. I commend both the University for winning a Green Ribbon Schools Postsecondary Sustainability Award and the work of Andrea Trimble in progressing toward the 25 percent greenhouse gas reduction by 2025. As an advocate for zero-energy buildings and carbon neutrality for the past 20 years, I know that the University’s stance is an important one. I would further recommend the University commit that all new buildings be designed to achieve zero- or net zero-energy status. This will not only make the University’s job to achieve 25 percent greenhouse gas reduction easier, but UVA would also be one of the first organizations to do so, and would be recognized by the U.S. Department of Energy’s Net Zero Energy Buildings program for achieving cost-effective zero-energy buildings in advance of the Department of Energy’s own schedule. This will place UVA in the position of leadership on energy policy, a position appropriate for a national institution of higher learning only two hours from our nation’s capital. What could be more important than that we as baby boomers all declare ourselves carbon neutral and seek to eliminate our carbon impacts? How much of a difference could the sheer size of our generation make? Could the University help sound the call? I was pleased to see my mural in your magazine. Unfortunately, I was dismayed that I was not mentioned as the artist of “Transparent,” the bubble/boy mural in McIntire Plaza. Copyright concerns are paramount in any journalistic endeavor, and as an artist I often run into challenges associated with the reproduction of my work. Granting artists credit and seeking their permission for reproducing their work leads to a strengthened culture of appropriately valuing creative contribution. Thanks for your help in making this town of ours shine! Professor Alon Confino’s essay, “Stories Evil Tells,” (Summer 2015) presents a succinct insight into how the Nazi Party fundamentally changed Germany, starting with Kristallnacht and the burning of Bibles. Professor Confino writes that the Bible burning was in support of the story (lie) told by the Nazis about who the German people were, where they came from and where they were headed. Their aim, the professor observes, was to found a new morality that justified their means for achieving the Nazis’ true goals. The near-term plan, he pointed out, was to persuade the people to reject the morality of the Ten Commandments, and to “excise” from German culture all Bible-based moral standards and the people who opposed their plan for fundamental change, thus making the state the sole source of moral authority. Professor Confino refers to Jews, whose adherence to the biblical moral foundation was anathema to the Nazi plan. We must also, however, add to that group the many people like Dietrich Bonhoeffer, the outspoken Christian pastor and fellow German, who was murdered for speaking out against Nazism. Modern excision is done not by murder, but by character assassination, bullying, denial of employment, diminished academic grades, refusal to publish academic writings that espouse traditional values, harassment by government agencies and by lawsuits. Professor Confino’s writing could be taken as nothing more than an academic comment on history, but it seems to sound a word of warning. Let us think long and hard before we follow those who seek to excise from our culture Bible-based morality and those who support it, for if we stand silent while that happens, we might just live to see fundamental change that we never dreamed could happen in America. For those who want to know about this, read Blackboard Blackmail, by Suzanne Clark. It is a true story of one woman’s fight against modern excision for opposing those who would supplant our history and culture with a fabricated version that supports radical change in America.